I am continually surprised at how quickly our cookie jars are empty and the the tasty goodies we put under the cake dome disappear. The Swiss tradition of afternoon coffee is alive and well here! 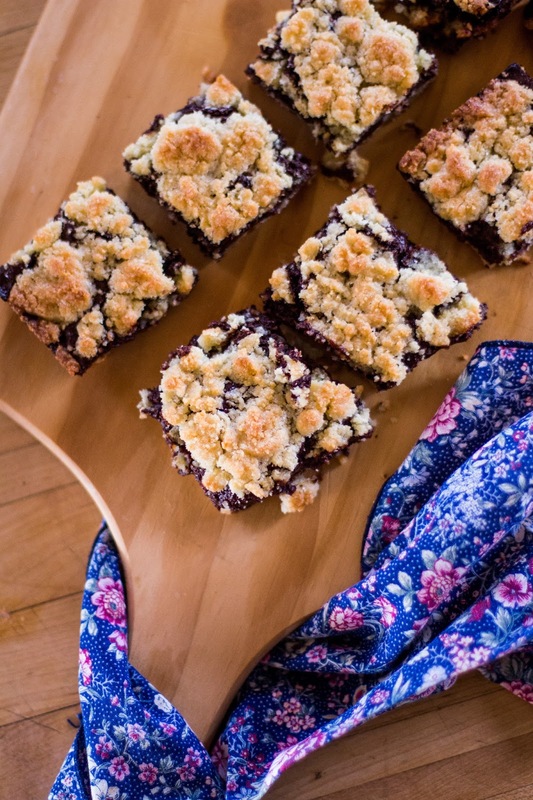 Today’s bars had everyone raving, maybe because they were still warm when they went onto the cake plate and the kitchen offered the enticing smell of warm chocolate, but I will say that they are easy and one of my favorites. Make them and freeze them for later use as they hold well. Combine chocolate chips, cream cheese and evaporate milk in a saucepan. Cook over low heat stirring until the chips are melted. Combine remaining ingredients in a food processor. Blend on low speed until the mixture resembles coarse crumbs. Press half of the mixture into the baking pan. Remove from the oven and spread the chocolate cream over the crust. Crumble the remaining crumb/crust mixture over the top of the chocolate. Return to the oven and bake 25-30 minutes until the top crumbs and golden brown. Hey nice recipe with less effort. I love the chocolate cookies but whenever I tried to bake it, it got dry. I'll surely try yours. Do you think the sweetness of cookies can maintain with semi-sweet chocolate chips??? The semi sweet chocolate chips give this a really nice flavor. Milk chocolate chocolate chips would tend to be too sweet. Enjoy and let us know how they turn out for you!